﻿ROSE MARIE SAND﻿ | Contributing Writer - "Go Beyond"
When she was a little girl in the '50's, Rose Marie wanted to be a writer and an artist when she grew up. Now that she’s retired from being a screen printer, a theatrical producer, a playwright, a real estate agent, a secretary, and a few assorted other careers, she’s fulfilling the dreams of that little girl. 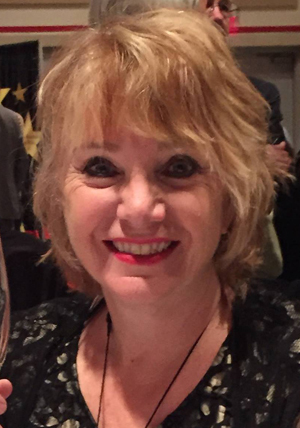 Rose is the only writer/artist of Slidell Magazine to be PUBLISHED IN TWO NEW YORK TIMES BESTSELLERS - Chicken Soup for the Soul and Chicken Soup for the Traveler’s Soul. Wowwwww! Rose Marie takes Slidell Magazine readers on physical, as well as metaphysical, journeys each month in her column “Go Beyond”. With grace, style and a large dose of humor, she invites our readers to go beyond the limitations of their mind and body and find the spirit in each adventure and every day!